From chick-flicks to fratty favorites to Oscar nominees, there’s a film for everyone in our list of All-Time Best Wedding Movies. Laugh with Julia, cry with Steve, stuff your face with Vince; these movies will inspire and terrify you all at the same time. Enjoy! My Best Friend’s Wedding. 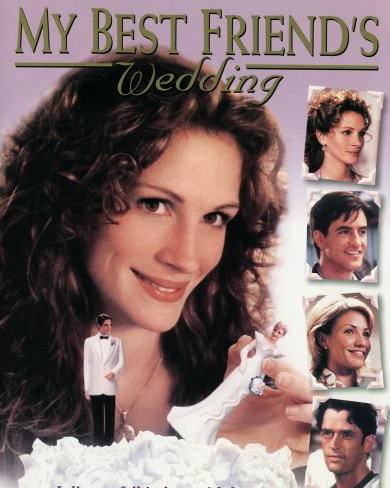 Julia Roberts stars in this 1997 comedy about a woman trying to win her best friend (Dermot Mulroney) over after he falls in love with a millionaire baseball team-owner’s daughter (Cameron Diaz), and hilarity ensued after Roberts is asked to be the Maid of Honor at a wedding she is desperately trying to destroy. Strong, funny, yet endearingly pathetic, Roberts’ performance as Julianne Potter made every guy wish they had a best friend just like her. Father of the Bride. 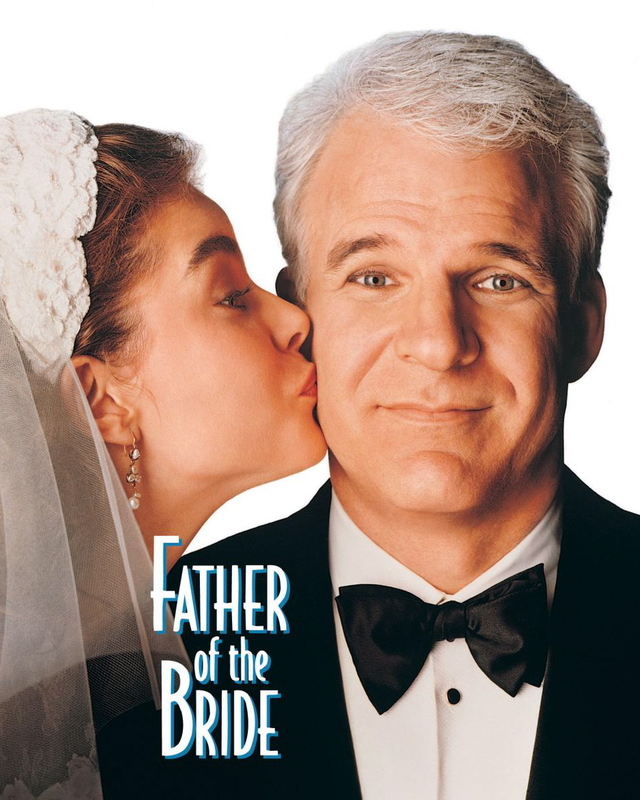 Though a remake of the 1950 Spencer Tracy classic, Steve Martin delivers the most hilarious and touching performance of his career as a man coping with giving away his first-born daughter. A must-see for parents of the bride and groom (or really anyone who has attempted to plan a wedding! ), this 1991 film’s tear-jerking scenes are perfectly balanced with comedic relief from flamboyant wedding planner Franck Eggelhoffer (played by Martin Short). Four Weddings and a Funeral. 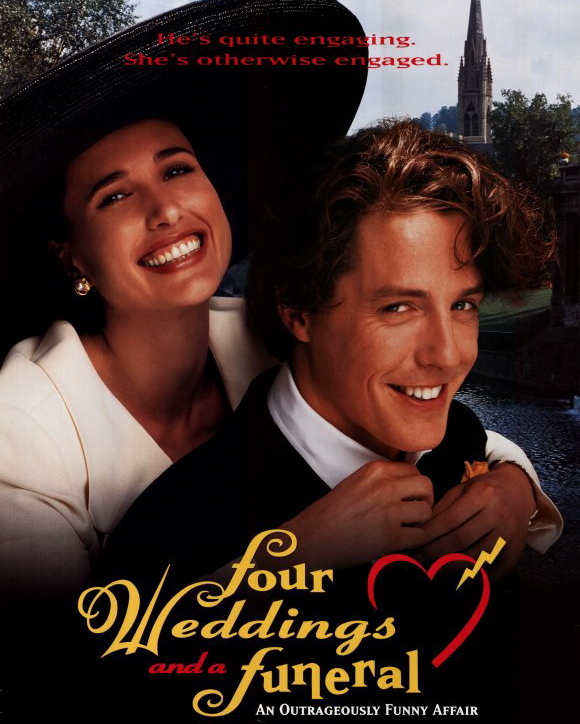 A wonderful tale about two people continually thrown together by fate, Four Weddings was nominated for Best Picture in 1994 alongside blockbusters “Forrest Gump,” “Pulp Fiction,” and “The Shawshank Redemption” on the back of outstanding performances by Hugh Grant and Andie MacDowell. If you need a reminder that “there are no such thing as coincidences,” this is definitely the film for you! Wedding Crashers. A movie full of awkward situations and brilliant one-liners (“Ma! 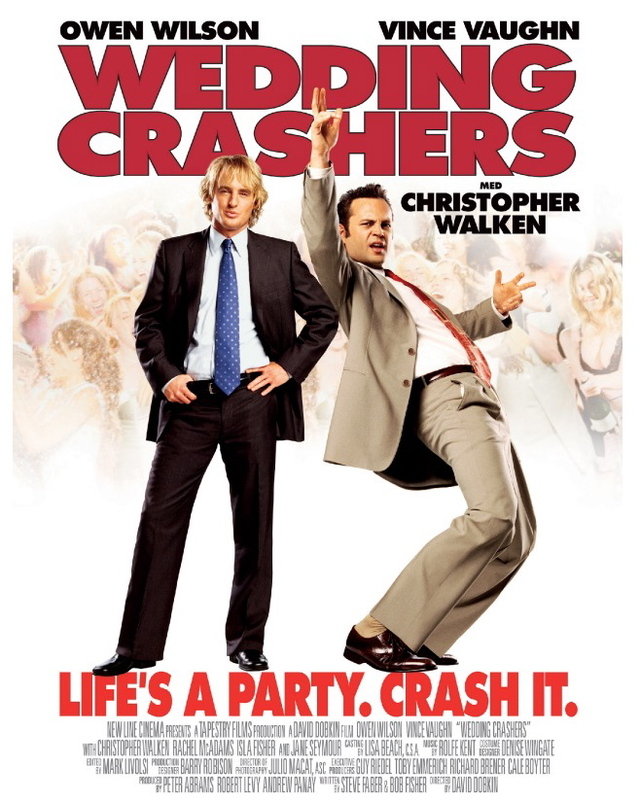 The meatloaf!”), Wedding Crashers features the comedy duo of Vince Vaughn and Owen Wilson at their fast-talking finest. After “crashing” weddings with Jeremy (Vaughn) all summer long, John (Wilson) falls for bridesmaid Claire Cleary (played by The Notebook star Rachel McAdams) and manages to procure an invite to stay at her wealthy family’s estate. Bradley Cooper, Will Ferrell, and Christopher Walken costar. My Big Fat Greek Wedding. A laugh-out-loud story about adorable Greek girl Toula Portokalos’ (played by Nia Vardalos) engagement to a non-Greek English teacher named Ian Miller (played by John Corbett), this sleeper hit from director Joel Zwick stands as the highest-grossing wedding film of all time, and also earned an Oscar nomination for Best Original Screenplay in 2002. Frustrated with your soon-to-be in-laws, or even with your own family? You’ll never complain again after seeing what Toula and Ian go through in the name of love. The Hangover. 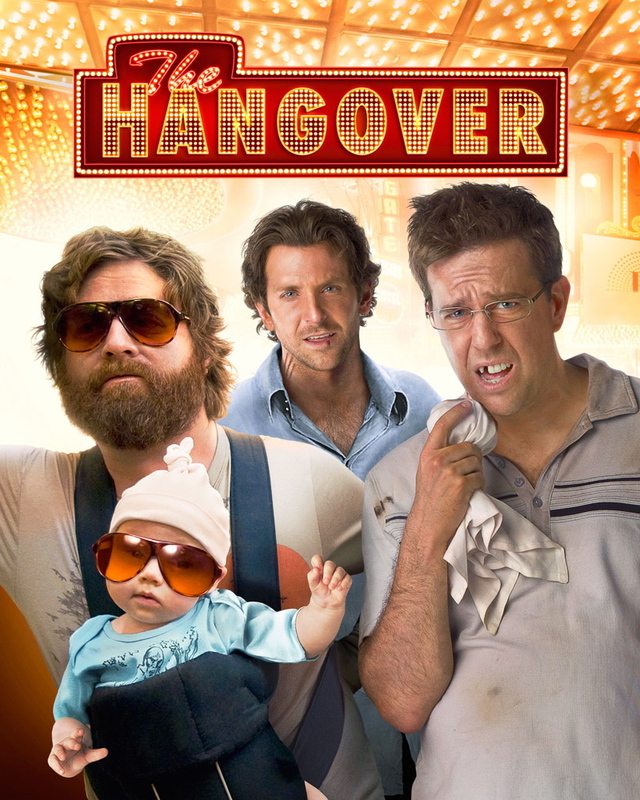 Less about a wedding and more about a group of guys (played by Bradley Cooper, Ed Helms, and Zach Galifianakis) trying to find the groom-to-be (Justin Bartha) after a drug-fueled bachelor party goes awry, this 2009 Todd Phillips-directed frat house favorite set the bar for crazy Las Vegas benders. A warning for future brides: If you don’t want your fiance arriving at your wedding with missing teeth or a mysterious baby, be sure to nix Sin City from the list of possible bachelor party locales. The Bachelor. 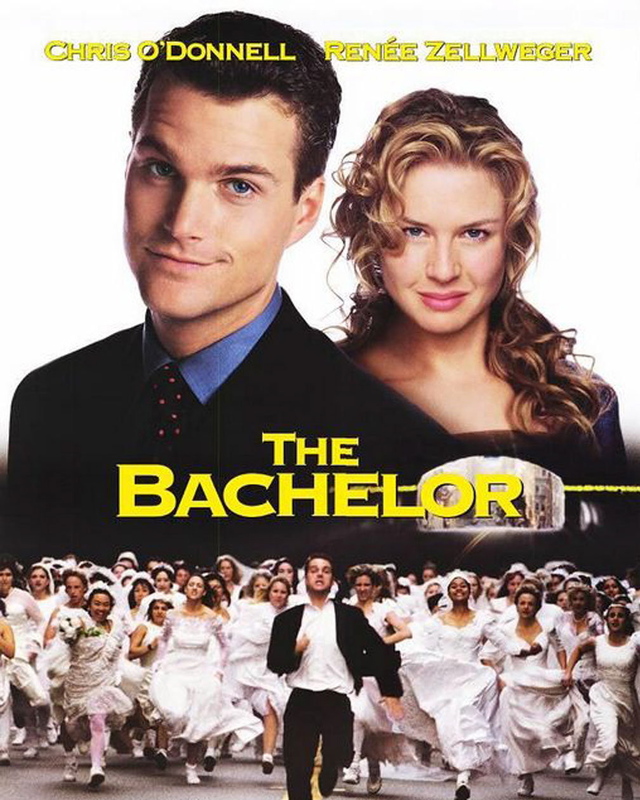 Though this fluffy, late-90’s chick-flick suffers from a Hollywood-contrived plot (a bachelor must find a wife in 24 hours to receive his share of a $100 million inheritance) and mediocre acting by both Chris O’Donnell and the usually-strong Renee Zellweger, the scene where Jimmie Shannon (O’Donnell) is being chased down the road by hundreds of brides is enough to make up for the film’s many shortcomings.